Low-mintage issue - just 2.3 million struck, scarce today! Secure yours in strictly Uncirculated condition - click 'add to cart' now! Scarce and sought-after, this low-mintage decimal commemorative pays homage to the state of Queensland. The coin's beautiful reverse design pairs inspiration from indigenous art with symbols of technology to form the perfect representation of the sunshine state. Issued by the Royal Australian Mint, this student-designed coin was struck as part of the low-mintage Centenary of Federation series. The 2001 Federation 20c series is hotly contested among decimal collectors. Why? 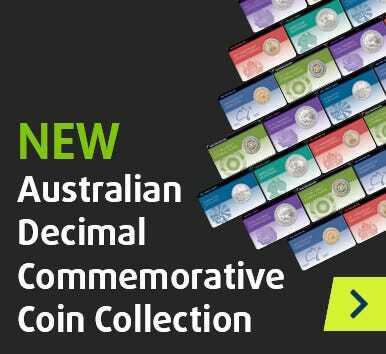 Because it features the lowest-mintage commemorative 20c coins ever released for circulation in Australia. All nine coins are extremely tough to find in change - and impossible to do so in the strictly Uncirculated condition offered here! The mintage of the 2001 Queensland 20c coin was set at just 2.3 million. When you consider that an average of 40.48 million 20c coins were struck every year from 1966-2016, this is a minuscule figure. It's little wonder this coin is so rarely seen in change! This unique, one-year-only type is a must for the avid decimal collector. Don't miss this crucial opportunity to keep your collection complete - click 'add to cart' now!